Hello, can someone please tell me where my lovely summer went? We just went and finished up middle school registration yesterday and will be headed to preschool back to school night in less than 2 weeks! I feel like it was only a couple days ago I was posting about our wonderful family vacation and that was right at the beginning of the kids summer break from school. Don’t get me wrong, we’ve done plenty of fun things, but we’ve also had a lot of appointments and obligations and I’d really just like us to have to some more time to hang out and be lazy. I guess if nothing else, since I don’t actually have the power to stop time or push school starting back a few more weeks then at least I can hang on to some summer cooking. 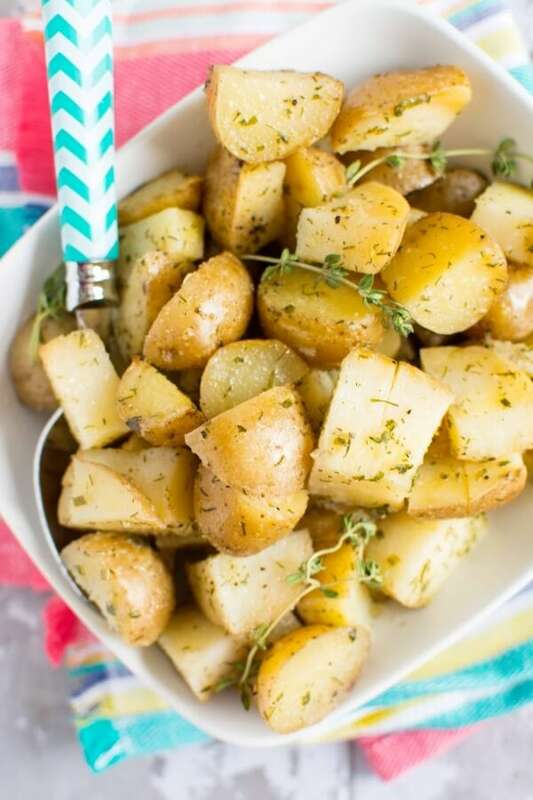 Actually, even though these ranch potatoes are perfect for summer recipes and BBQ’s they will actually go with just about anything all year long. I really have no idea why I’ve never thought to make these this way before. 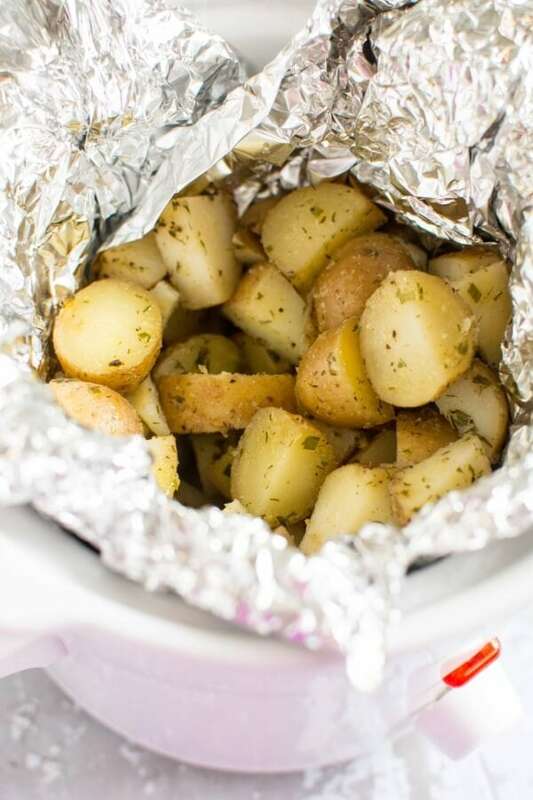 Why bother with the oven or the grill (my usual ways) when you can toss these together, wrap them in some foil, and let the slow cooker do the hard work?! 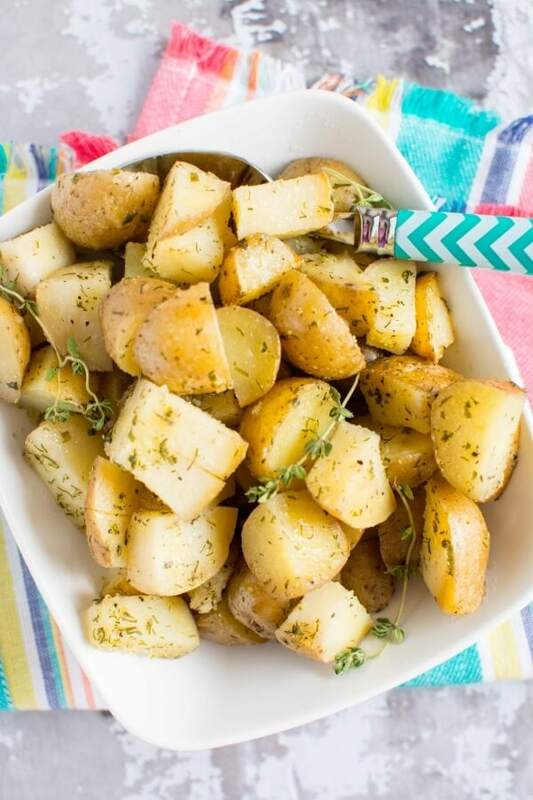 These use my favorite homemade ranch style seasoning blend, and if you make up a batch in advance and keep it on hand (like I totally recommend doing!) this will only take you a few minutes! 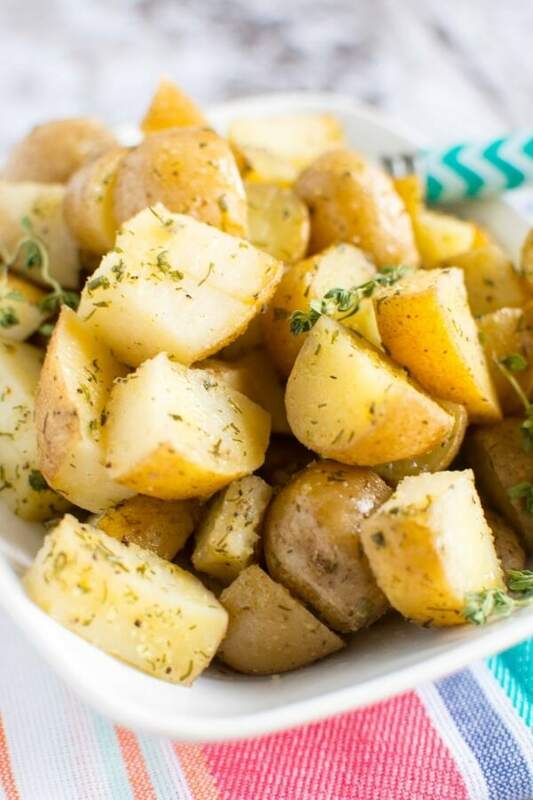 Use it with your favorite red, gold or white potatoes and you will have a side your whole family will devour with very little effort! 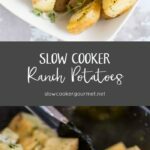 I used my small 2 quart slow cooker and made these on high for 2 hours. Do you think I could double the recipe and use a bigger crockpot? 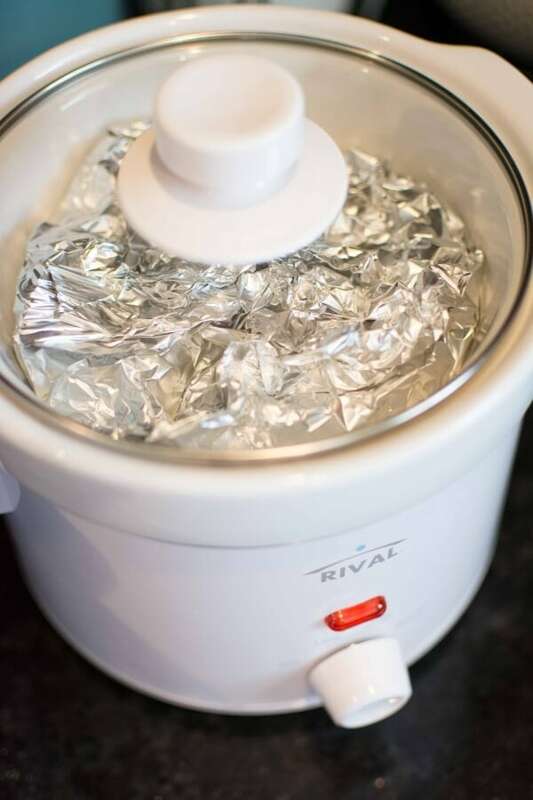 Do I have to use the foil? 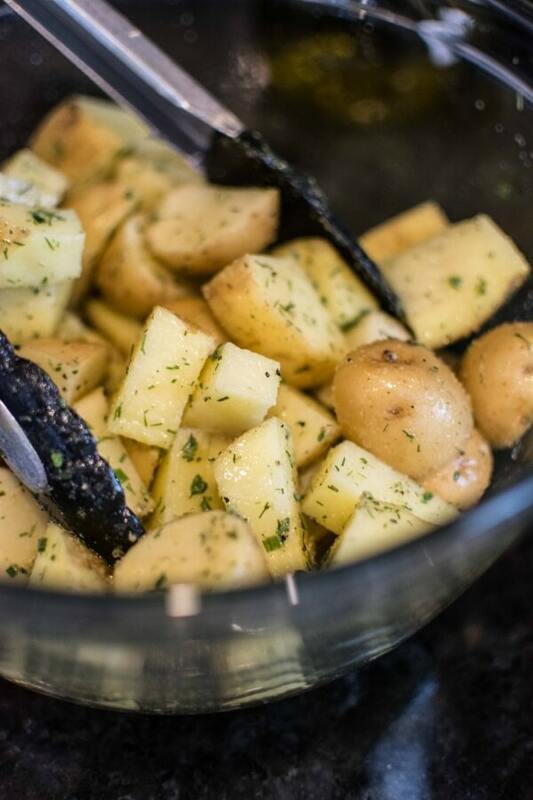 They may not cook as evenly if you don’t (and may need to cook longer) and it will be a bit trickier to clean up.